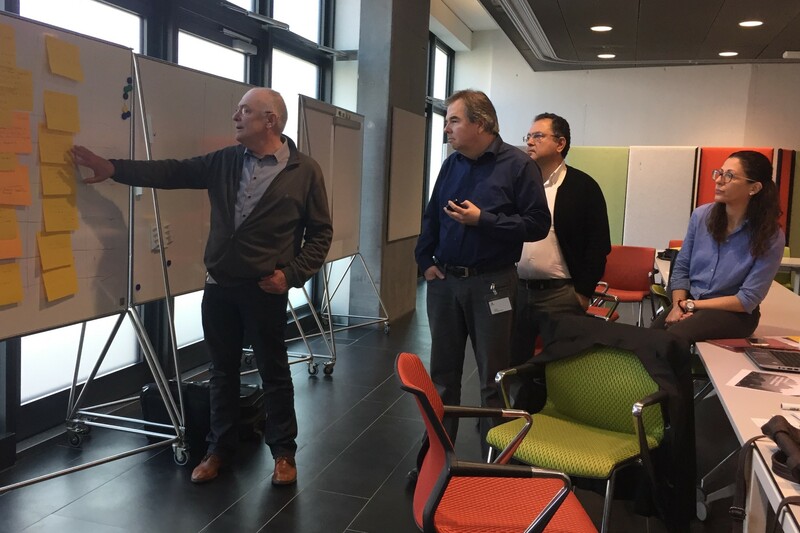 The ETIS Procurement and Vendor Management working group (PVM) gathered from March 21 - 22, 2019 for their first meeting of the year, which was kindly hosted by Swisscom at their offices in Zurich. The aim of the Procurement and Vendor Management Working Group is to further explore common interest areas and determine best practices in regards to the governance of vendors as well as to deliver common tools to enhance the PVM processes in each company. As usual the meeting was kicked off with a company updates roundtable session in which each participant discussed their current projects and departmental priorities.Following a new model initiated by the members of this group, the remainder of the meeting involved sessions focused on each of the four working papers being developed as well as interactive workshops on people development and value creation. The first working paper discussed was agile contracting, which was chosen as a focus since the development for new services and products is done these days in an agile setting. The Swisscom team responsible for this presented their experience creating an agile fixed price contract-- the goal of which would ideally lead to vendor consolidation, efficiency, optimization, sustainability and the supplier taking the risk and liability. The group then discussed big vendor dependency and strategies to try to increase their negotiating position. This was followed by a session on sustainable supply chain, where Proximus gave an overview of their policy towards their suppliers in reducing carbon emissions and other climate-related matters, for which they have recently won awards. The second day of the meeting was devoted to even more interactive sessions, beginning with an overview of the supplier segmentation working paper currently being driven by Swisscom and KPN. The goal of the working paper is to provide a framework to help realize the benefits of proper segmentation and will result in a model the group can test within their own departments. After discussing the Swisscom experience, participants broke up into groups to brainstorm the maturity levels, the results of which will be included in the working paper. This was followed by a the value creation mini-workshop, where participants brainstormed and discussed their experiences with various methods of value creation/co-development in order to share new methods to create more value from (different) supplier-/partner/vendor-collaboration approaches. As a next step participants will decide on a few different methods to pilot and then share their experiences at the next meeting. The meeting concluded with a presentation and discussion of the current draft of the Procurement 2025 working paper, specifically the "Market analysis" and "Digital Procurement – Procurement Tools” sections. The potential of various emerging technologies such as block chain were discussed--and debunked--with the hope that some of these will deliver so that interesting use-cases can be discussed in future meetings. If you would like to know more about the group and its activities, please visit the Procurement and Vendor Management working group page or contact Michele Lalic, the ETIS Central Office representative responsible for this group. As always, ETIS members can access the presentations and materials on the Members Corner of the ETIS website.